The Canterbury hotels listed below are either in the town or we have given a rough guide as to how far they are from Canterbury. We hope you enjoy your stay and find your ideal accommodation. Station: CANTERBURY EAST. 0.5miles. From A2, Faversham go straight ahead at the first two roundabouts, at the third take the first left into Castle Street. Then take the first left and at the end of the road turn right onto Stour Street. Hotel is located at the end of this road. Station: CANTERBURY EAST. 1.5kilometre. Take the A2 towards Dover. Turn off at Canterbury exit following signs to Margate A28. Continue towards Margate direction through various roundabouts turning right at the St George roundabout signposted Dover A2. Go straight ahead at traffic lights which led to New Dover Rd where the hotel is situated on the right after approximately 300 metres. Station: CANTERBURY West. 500metres. From London follow the M2 and A2 to Canterbury, entering city on A2050. Follow signs to the Westgate. Hotel is opposite. Station: CANTERBURY EAST. 4miles. Hotel is located on the A2, 4 miles from the City Center. From the eastbound carriageway, the hotel is accessed via the Texaco petrol station. From the westbound carriageway, access is gained via the Dunkirk slip road and crossing the A2 via a bridge, joining the eastbound carrigeway and continuing as above. Station: CANTERBURY EAST/WEST. 5miles. Please note: check in is from 3pm onwards. Travelling west on the A2 London bound the hotel is 1 mile before junction 7 of the M2. Southbound on A2, take 1st turning left after Little Chef services sign posted Upper Harbledown. 1st turning right over the bridge which leads to the westbound carriageway, hotel is behind Little Chef and Texaco Garage. Located on the A229, the Travelodge provides contemporary quality accommodation and an ideal base for getting to Brighton, Chichester, Portsmouth and surrounding countryside. Spacious en-suite rooms, television in every room, tea and coffee making facilities, free parking, plus on site catering make Travelodges terrific value. Situated in the heart of Canterbury, Peregrine House offers spacious rooms with en suite facilities. The Georgian townhouse has period features and traditional charm, just 35 metres from The Canterbury Tales attraction. 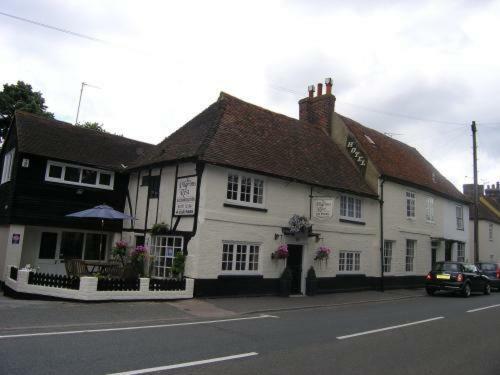 In picturesque Chilham, Woolpack Inn is surrounded by scenic Kent countryside. Just 15 minutes' drive from Canterbury, the inn has a traditional restaurant, free parking and a leafy terrace. 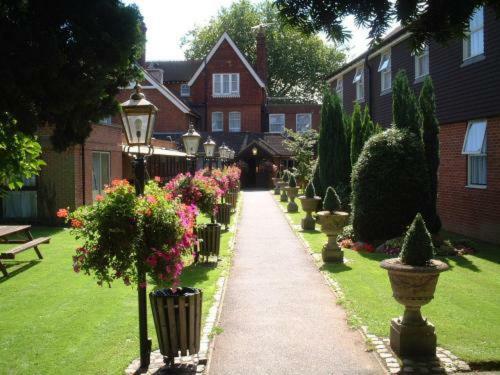 A short walk from Canterbury city centre and its world-famous Cathedral, this privately-owned hotel is set within a Victorian townhouse, amid 2 acres of well-maintained grounds. The Pilgrims Rest is a sympathetically renovated, Grade II listed, late 16th-early 17th century building, now housing a bar and lounge area, a dining room and 6 en suite bedrooms. The Pilgrims rest has a rich and fascinating history. 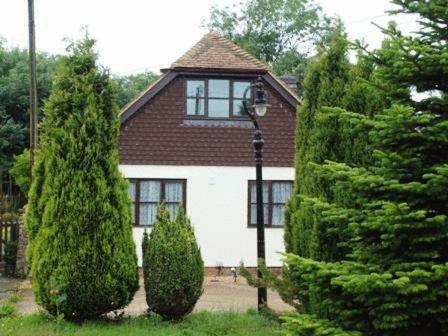 With free parking and free Wi-Fi, Franklin Guest House is half a mile from Canterbury centre. Just 10 minutes' walk from Canterbury Cathedral, Franklin has elegant rooms with private facilities. Set within 6.5 acres of gardens, Homelea offers luxurious rooms with open, scenic views. Guests can relax in the infra-red sauna and indoor pool, and enjoy fresh eggs for breakfast. This modern hotel offers free ample parking in the grounds, a restaurant and free Wi-Fi. Canterbury city centre is 3 miles (4.8 km) away. Each room has satellite TV and a power shower. Close to Canterbury city centre, Ann's House is a beautiful Victorian house restored to its original grandeur. With en suite rooms it offers free Wi-Fi and free parking. Individually designed bedrooms offer comfortable and homely accommodation. 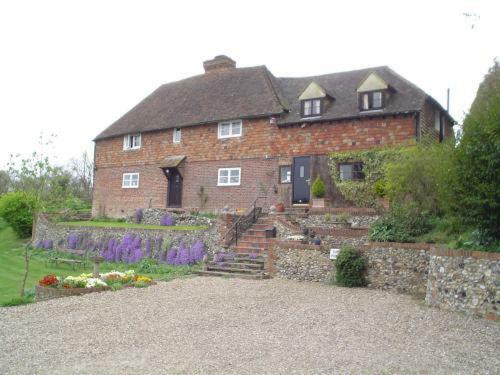 Surrounded by scenic Kent countryside, Iffin Farmhouse is just 2 miles from historical Canterbury. With stylish rooms and free Wi-Fi, the house also offers cooked breakfasts and free parking. Just a 10-minute walk along the River Stour from the very heart of beautiful, historic Canterbury, this well-established 4-star bed and breakfast offers charming en suite rooms and free parking. This award-winning B&B is a 16th-century manor house with large en suite rooms, many original features and plenty of charm and luxury. 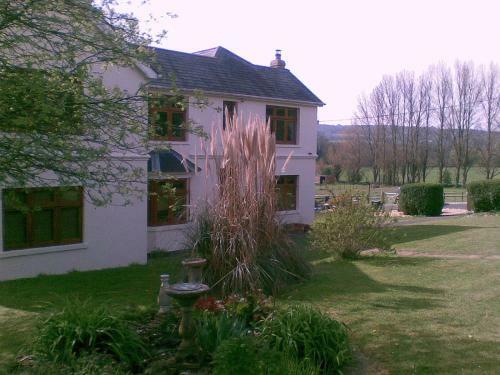 Molland House is located in a country village between Sandwich and Canterbury. Sandwich is 3 miles (4. Within Canterbury's historic city walls, Abode Canterbury is just 300 metres from Canterbury Cathedral. With an award-winning restaurant and cocktail bar, the hotel offers stylish bedrooms with free Wi-Fi. Just metres from Canterbury's medieval West Gate, this charming building dates back to 1403. A former coaching inn, it offers free Wi-Fi and free parking, 2 minutes' walk from the city centre. 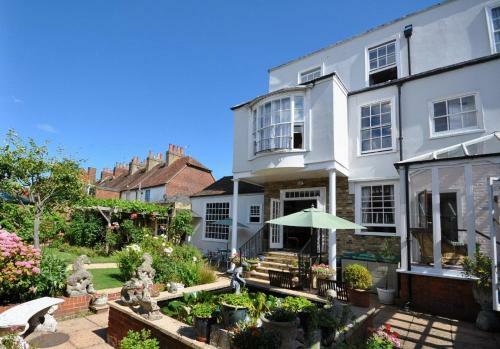 Within 10 minutes' drive of Canterbury and Whitstable, the Amadis Bed and Breakfast offers traditionally decorated rooms and cooked breakfasts. Free Wi-Fi, free parking and secure cycle storage are available. In historic Canterbury, this charming 4-star hotel has free Wi-Fi and free parking. The city centre and 2 rail stations are within easy reach. Each spacious en suite room at Castle House is elegantly furnished and has a flat-screen digital TV. 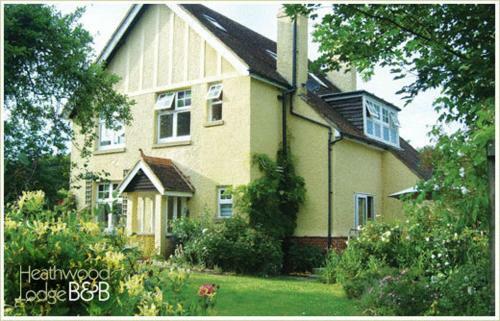 In 2 acres of landscaped gardens, Abbots Barton Hotel has a traditional restaurant and elegant rooms with free Wi-Fi. The hotel is just outside Canterbury centre, half a mile from Canterbury Cathedral. 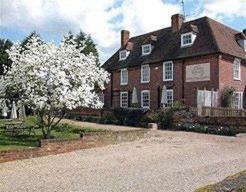 Family-run Thanington Hotel is a charming 18th-century property with an indoor swimming pool and free Wi-Fi. Canterbury town centre and cathedral are a brief walk away. With free parking and family-friendly air-conditioned rooms, the Premier Inn Herne Bay has an on-site Table Table restaurant. Some rooms can take 2 adults and up to 2 children (under 16 years). Set in a 100-year-old townhouse in historic Canterbury, this hostel is a 15-minute walk from the magnificent cathedral. It has free Wi-Fi, and there is free parking at nearby Nunnery Fields. The Pilgrims Hotel is ideal for your stay in Canterbury City Centre. Situated within the Roman city walls, this lovely family run hotel offers a warm welcome to all our guests. In the private and peaceful grounds of Canterbury Cathedral, these modern rooms have free Wi-Fi, and stunning views of the cathedral. The historic city centre is 2 minutes away. Situated in a Victorian villa in a quiet, tree-lined street, YHA Canterbury is just 15 minutes' walk from Canterbury Cathedral. Guests can enjoy the TV lounge and games room. A delightful old pub close to the city centre and its many tourist attractions. The ruins of the ancient water mill (hence Miller's Arms) on the River Stour remain alongside the pub. 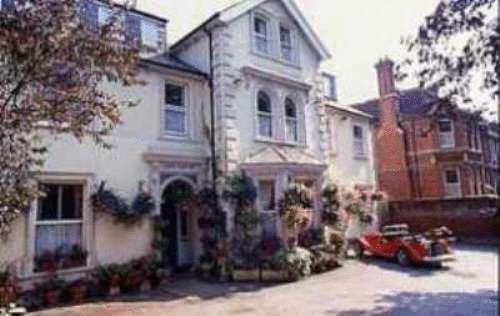 This charming hotel is 2 miles from Canterbury and close to Dover and the Eurostar. Dating back to the 12th century, it is surrounded by picturesque hills and fruit trees. Dating back from 1712, The Tuns at Staple House is set in 3 acres of grounds, including orchards, and offers a bar, a restaurant, free Wi-Fi and free parking. All rooms have a bathroom with toiletries. This huge private estate has an historical building at its centre. Broome Park is a relaxing resort with modern log cabins, fine dining, indoor swimming and golf. Broome Park Golf and Country Club is in Barham, near Canterbury. An inn since the 13th century, this beautiful building offers boutique-style themed rooms, free Wi-Fi and free parking, 200 metres from Canterbury West Station. 4-star 'Highly Commended' award from the AA. Set in beautiful gardens, The Victoria Hotel offers traditional home-cooked food and free Wi-Fi. The hotel is a 20-minute walk from Canterbury centre, and just a mile from Canterbury Cathedral. Canterbury hotel. Just 10 minutes stroll from Cathedral and City centre. 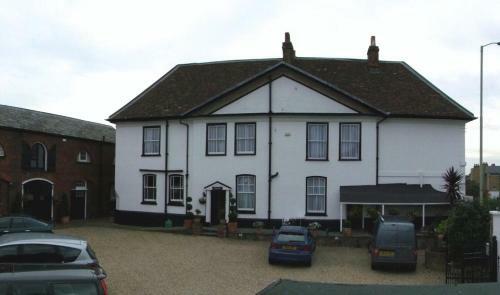 Family owned Georgian Grade 11 listed Bed and Breakfast Hotel. For hotels accommodation in other areas nearby see Margate hotels & Dover hotels.